Spain’s real estate industry may be struggling and its football team just lost to Slovakia (Slovakia?! 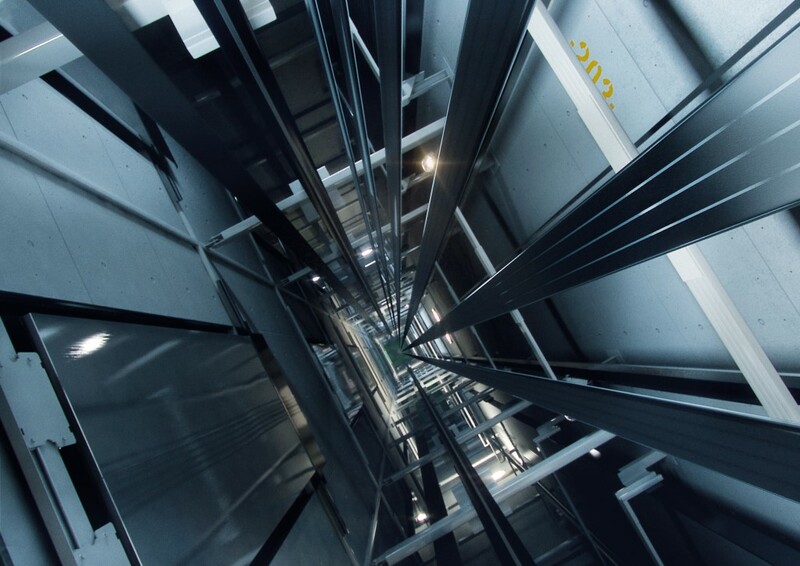 ), but the country can boast that it leads the world in at least one category – elevators. 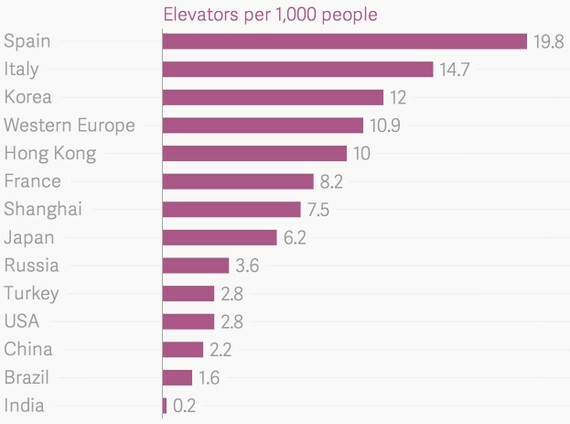 Spain offers more elevators for its population than any country in the world, according to research by Quartz. And it’s not even a close competition. Spain has 19.8 elevators per 1,000 people, compared to 14.8 per 1,000 people for second place, the relatively stair-bound Italy. Many of the bigger cities and countries identified with skyscrapers have a much lower ratio of elevators. Hong Kong, for example, has only 10 elevators per 1,000 people and Shanghai only 7.5 per 1,000. There are many reasons for this phenomenon, according to the researchers. One explanation is simple – more Spaniards live in apartments. About 65 percent of the population lived in apartment buildings in 2012, compared to an average of 46 percent in other Euro-zone countries. But there are other factors at work. Under Franco, there was a push toward urbanization, as well as home ownership. Laws encouraged landlords to sell apartments and create a form of condominiums, which also prompted more apartment development. The full report from Quartz can be found here.